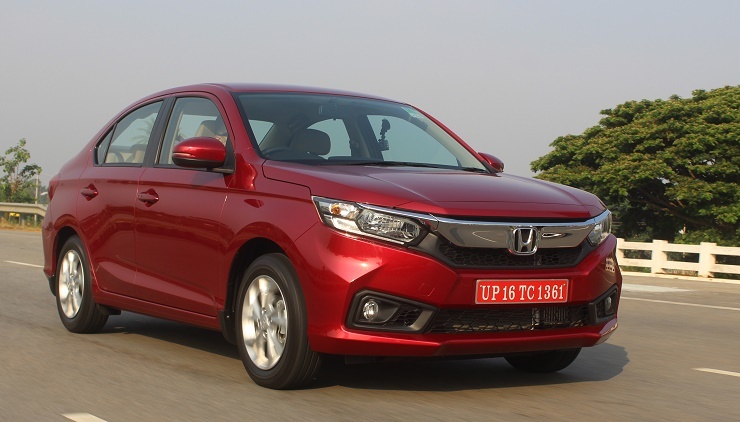 7,290 units of the second generation Honda Amaze compact sedan have been recalled in India for the inspection of the EPS Sensor Harness. If found faulty, the part will be replaced at no cost to the customer. The recall affects the compact sedans built between 17 April 2018 to 24 May 2018. Honda dealers will begin contacting affected owners of the second generation Amaze compact sedan starting from the 26th of July, 2018. Owners can also check if their Amazes come under the recall by submitting their 17 character alpha-numeric Vehicle Identification Number (VIN) on the special microsite which has been created on the company’s website. The second generation Honda Amaze compact sedan is the automaker’s best-selling car. Ever since it was launched in February 2018 at the Auto Expo, the Amaze has been clocking about 8,000 units each month, boosting Honda’s sales in the Indian market. The new Amaze is now India’s second best-selling compact sedan, behind the Maruti Dzire. Other competitors of the Honda Amaze include the Hyundai Xcent, Ford Figo Aspire and Volkswagen Ameo. The Amaze has received a brand new design that makes it look very different from the first-generation model, and also makes it stand out among its competitors. There are two engine options on offer in the new Honda Amaze. The petrol motor is the 1.2 liter i-VTEC unit with 87 Bhp of peak power and 110 Nm of peak torque. The petrol engine gets 5 speed manual and CVT automatic gearbox options. The diesel engine is a 1.5 litre, turbocharged i-DTEC all aluminium unit with 98.6 Bhp of peak power and 200 Nm of peak torque. A 6 speed manual gearbox is standard on the diesel motor, whose detuned version with 80 Bhp-160 Nm on tap gets a CVT automatic gearbox option. Twin airbags and ABS are standard safety features on the car, whose prices start from Rs. 5.59 lakhs, ex-showroom, Delhi.